Muscle Machine® MASS is a premium high calorie mass gainer designed for serious gains. 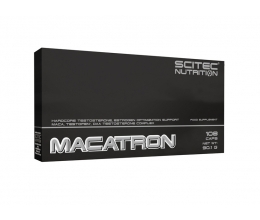 Delivering approximately 1000 calories, 54g protein* and 160g carbs* per 250g serving. Ultimate weight gain formula in an instantised shake, delivering approx. 1,000 calories and 54g of protein* per serving. 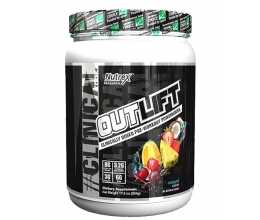 Designed as a post-workout/meal replacement formula, built on a compound 3:1 ratio of quality carbs to protein. Added coconut oil, glutamine peptides, Palatinose™, waxy maize starch and MCT powder. For guys who bust their asses in the gym, week-after-week, yet still have trouble gaining muscle mass, the single most important change they can make is the addition of extra calories…but not just any calories, those calories have to provide enough quality protein, carbs and fat, in the ideal ratios to support maximum growth and repair of muscle, without reducing appetite or causing bloating - and if you are going to be pounding back a lot of extra calories on a regular basis, you want those calories to taste great! This is the ethos behind the development of Muscle Machine® Mass. Muscle Machine® Mass is the ultimate, premium-quality mass gainer formulated for people with fast metabolisms, who are very active or who must have additional calories to pack on new muscle. Of course, the dry weight of muscle is almost entirely made up of amino acids and protein, so Muscle Machine® Mass contains a huge 52** grams of quality, multi-sourced protein, including rapidly absorbed whey isolate and concentrate, along with milk protein (a rich source of slow-release micellar casein) and NO soya protein. 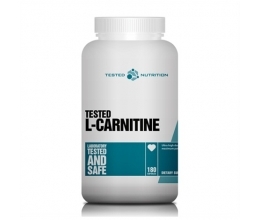 It is also a rich source of over 10 grams of BCAAs and contains added glutamine peptides. Along with all of that quality protein, to ensure you meet your calorie needs, Muscle Machine ® Mass contains enough easily-digested carbs that won’t fill you up so much that you miss your next meal and sabotage your gains but also, to ensure prolonged energy delivery and avoid excess increases in insulin and blood sugar, it contains the slow-release, low-glycemic (low GI) carb called Palatinose (also known as isomaltulose). This next-generation carb source has been substantiated to cause significantly smaller increases in blood sugar and insulin as compared to sugar* and has amongst the lowest glycaemic index (GI) ever recorded - at just 32! [The GI of glucose is 100]. - Livesey G, Taylor R, Hulshof T. et al. Glycemic response and health – a systematic review and meta-analysis: relations between dietary glycemic properties and health outcomes. Am J Clin Nutr. 2008;87(Suppl.):258S–268S. - Lina BAR, Jonker D, Kozianowski G. Isomaltulose (Palatinose): a review of biological and toxicological studies. Food Chem Toxicol. 2002;40:1383–1389. The Muscle Machine® Mass ‘Tri-Source' carbohydrate blend is rounded off with the addition of Waxy Maize starch - used by athletes to quickly and effectively replenish glycogen - the muscle’s carbohydrate energy stores! Waxy Maize is also known for its ease of digestion. However, Muscle Machine ® Mass isn’t just about the perfect protein and carb combination for mass gains, it is becoming increasingly clear that eating the right fats can also have profound effects. As such, Muscle Machine® Mass contains coconut oil and several other important sources of fats, including environmentally friendly, sustainably-sourced MCTs, which are more quickly and efficiently absorbed and more rapidly used as fuel by the body versus typical fats. So with up to 1000 plus calories per serving (depending upon preparation) of quality macronutrients and a 3:1 ratio of carbs to protein, in a great-tasting, easily-digested shake, Muscle Machine Mass ® is the Ultimate Mass Gainer to accomplish your mass gaining goals. * Palatinose/Isomaltulose, when used instead of sugar, reduces post-prandial blood glucose and insulin responses. Maltodextrin, Protein Blend (Whey Protein Concentrate, Milk Protein Concentrate, Whey Protein Isolate), Medium-Chain Triglyceride Powder (Palm Kernel Oil, RSPO Certified), Isomaltulose, Waxy Maize Starch, Coconut Oil Powder, Tapioca Starch, Flavourings, Creamer (Refined Fractionated Palm Oil, Milk Protein), Colour: Beetroot Red; Glutamine Peptides, Sweetener: Sucralose; Emulsifier: Soya Lecithin. Contains milk, wheat and soya derivatives. Mix one serving (four level scoops) of Muscle Machine® Mass with 300ml-400ml of cold water or milk; for those looking for maximum calories, mix with semi-skimmed or whole milk. Use between meals, after exercise and/or before bed. For maximum results, consume two shakes daily for a minimum of six weeks, one first in the morning and a second following training (on training days) or before bed (non-training days). For those using Muscle Machine® Mass for the first time or monitoring calorie intake, serving size can be reduced to 1/2 serving (two level scoops) for the first seven days and gradually increased to a full serving as desired.